A post dedicated to us blondies. Now I don't know about you, but I spend endless amount of time surfin n'turfin and delving through makeup lines to find myself that perfect colour for my brow. Finding yourself nodding your head? Well sweat no more. I'v found you a fix! I went into MAC to get my makeup done, and asked them to use a pencil they think would be acceptable on my brows. Now I don't have the thickest of brows, or the lengthiest of brows however when I was rewarded/ told to look in the mirror properly, I was very pleased with my brows. Without a shadow of a doubt, I purchased this product immediately. 'Fling' is a great colour for blondes as it looks very natural. 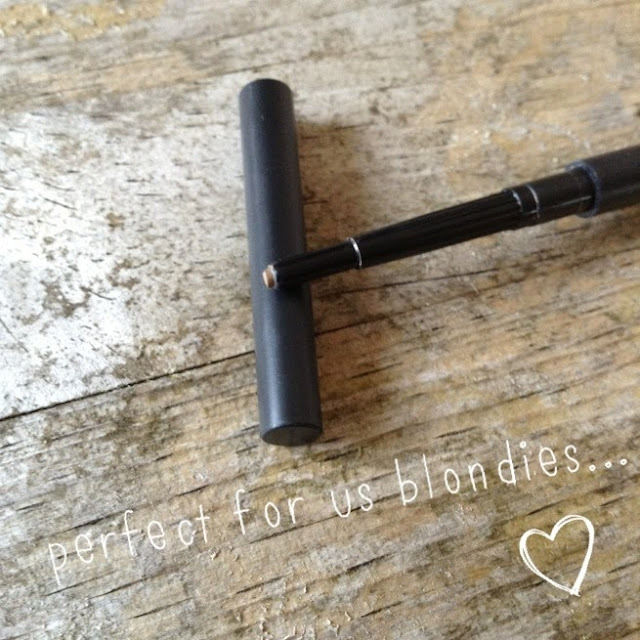 Although it is not the lightest of colours, it has a slight hazely tone which is very complimentary to blondes. 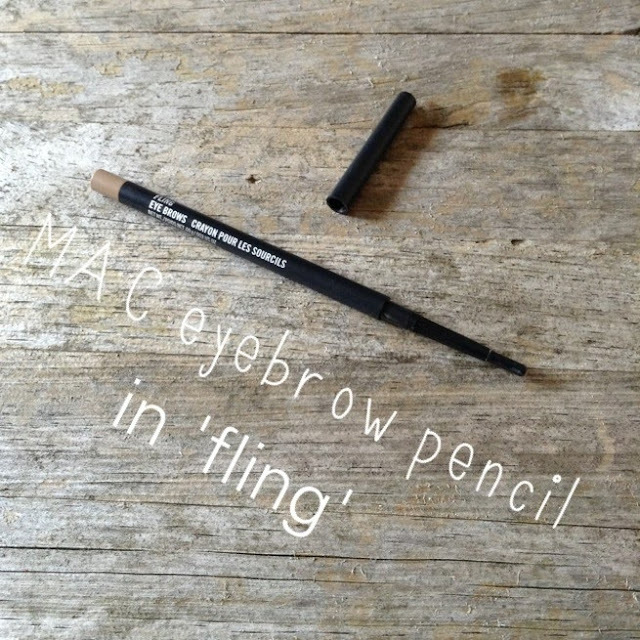 It glides onto the brow which is great if you are looking to create a shape with the pencil. It can be built up to be darker, so if you want to go for a bolder look then this can be achieved easily with this product, or if you want to keep it light and fill any gaps etc, applying this pencil with a light pressure will do the trick perfectly. What I don't like about this product is that it is a wind up brush, so if you wind it up too much when it becomes blunt then you canno't get the pencil back in and it will be more prone to breaking. Another downside to this product is that I don't feel like I have used this pencil very much but it has already run out. At around £13.00 I think it is quite a lot of money for how long it lasts, especially as I didn't use it everyday. However if you have tried everything and just want a good pair of brows, then this is definitly worth a shot! If your not a blonde, dont fear! there are different shades in this product so you should for sure find your perfect colouring!